A graphic look at what happened to 779 detainees. As of July 16, it’s been 166 days since the Obama administration missed its self-imposed deadline to close Guantanamo Bay. The first detainees arrived at the notorious prison camp over eight and a half years ago. With little public support for closing the base, and no political will to bring the most infamous detainees to trial, there doesn’t seem to be any end in sight. Here’s a by-the-numbers look at what has become Obama’s Gitmo. You can read more about Khadr—in his own words—here. In June, the Washington Post reported that at least half a billion dollars had been spent renovating Guantanamo Bay since 9/11. That includes $219 million for constructing the prison camps, $54 million more for constructing the high-security facilities for the so-called “high-value detainees,” and $13 million for a courthouse complex. But it doesn’t include some $150 million a year in operating costs. Photo: Flickr/Prisoner 159753 (Creative Commons). All told, the cost of the post-9/11 Guantanamo has been somewhere around $2 billion. That includes the KFC/Taco Bell remodel. A CNN/Opinion Dynamics poll conducted in March found that 60 percent of Americans opposed closing Guantanamo Bay. 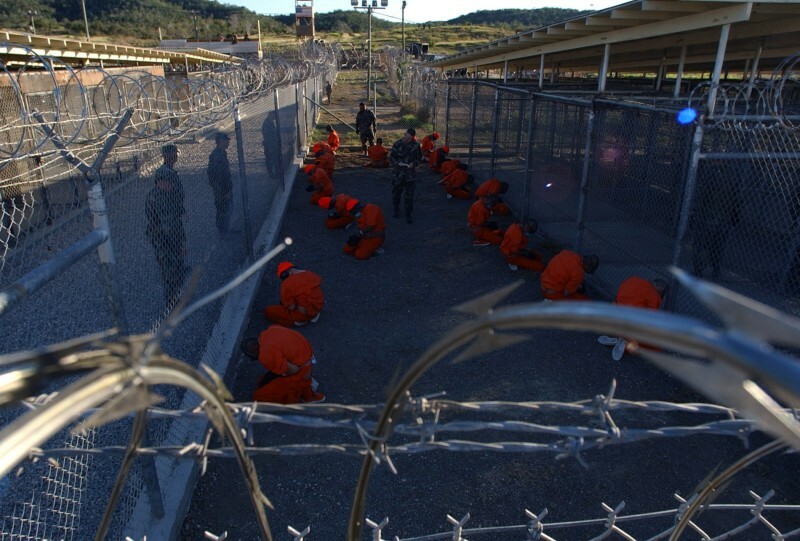 July 16, 2010 represented the 3108th day since the first prisoners arrived at Guantanamo Bay. The vast majority of the people detained at the prison arrived there in 2002 or 2003, meaning they have now been detained without trial for seven or more years. Photo: Flickr/Obama-Biden Transition (Creative Commons).